SimpleOres Mod 1.7.2 and 1.7.10 is a relatively small modification that takes care of adding five new minerals to the game. That may not seem like much, but according to the author of the mod says, his intention was not to flood Minecraft with this minerals, but continue with its line, but adding a little more versatility to Minecraft mining without adding lots of new resources like Metalurgy modification does. The intent of this mod is to find a balance. Each of the five minerals is unique and has its own strengths and weaknesses. All recipes follow the normal style of Minecraft. The new minerals are copper, silver, Mythril, adamantium and onyx. 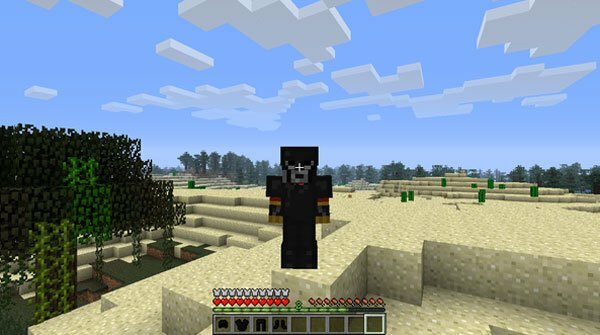 How to install SimpleOres Mod for Minecraft 1.7.2 and 1.7.10? New minerals in Minecraft! Do you dig it?